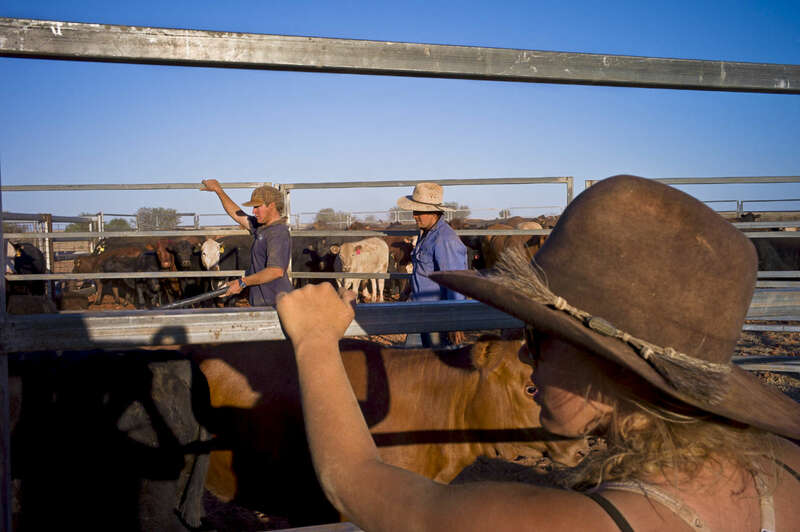 Once the animals are penned, it takes 4 to 5 days to let them through, one by one, to tattoo and vaccinate them and trim their horns before they are loaded for the abattoir or redirected towards another pasture. Cattle spend 4 to 5 years in pasture before they are sent to the abattoir. 2011, Northern Territory, Australia.